It may never have the recognition or interest of internationally-recognized special occasions like Halloween or Christmas, but online retailers who know what they’re doing can still make Canada’s Small Business Saturday an experience their customers will never forget. First introduced by the Canadian Federation of Independent Business (CFIB), Small Business Saturday, which takes place on October 20th this year, is a national campaign that aims to encourage consumers to shop at local, independent businesses and help entrepreneurs promote their businesses online. It’s a great idea because, no matter what kind of products and services you offer, operating as a small and medium-sized business (SMB) in Canada means you probably face some challenges in marketing to the same degree as a multinational corporation that spends on more traditional channels like TV commercials and billboards. 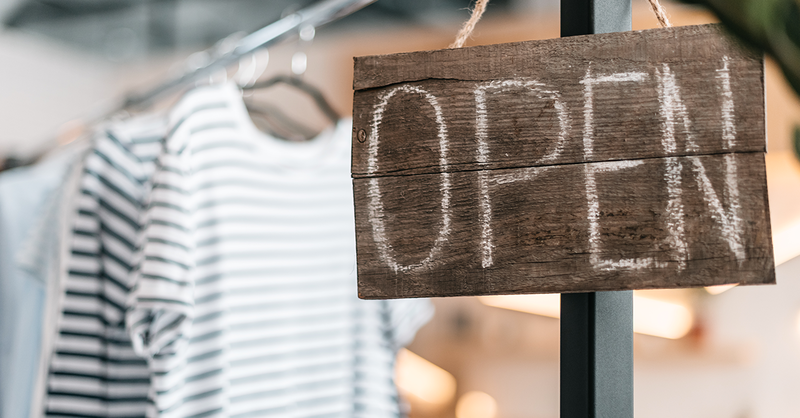 While the rise of e-commerce has opened up incredible opportunities for SMBs to operate on a truly global level in terms of the customers they could potentially reach, promoting your business close to home has some obvious advantages. Consumers like to feel the companies they buy from are somewhere nearby, even if they only interact with them through digital channels like a website and email. Positioning yourself as part of a “neighbourhood” -- even if that neighbourhood spans from B.C. to Newfoundland -- also means you can speak to cultural interests of customers in a credible and authentic way. And taking advantage of Small Business Saturday means you’re tapping into the collective marketing strength of other, non-competing firms who may share similar values as an independent entrepreneur and who also want to drive sales. Many online retailers have already used specific terms relating to the products and services they offer to include in the metadata of their website. Those who master search engine optimization (SEO) are the SMBs who routinely wind up near the top of search results when consumers go browsing online. An occasion like Small Business Saturday, however, offers a chance to capitalize on potential interest in the event by making strategic use of keywords where they’ll really count. This could include a landing page you create with special promotions or discounts that will be available on October 20, for example. You could also try temporarily using keywords related to your local presence, your independence as a business or other attributes in the main area, dubbed the “meta description,” that search engines like Google use to index its results. If you publish a blog that highlights topics of interest to consumers related to your product category, you can also use keywords in a Small Business Saturday post to talk about why your firm is among those taking part, and why consumers might want to use the day as an opportunity to discover you for the first time. Many SMBs use online ads to raise awareness, but it’s not always clear how to take advantage of more sophisticated capabilities to serve up content that will speak to specific interests. Tools like Marketing Cloud, for instance, include an Advertising Studio component that can let SMBs target customers who might fall into their target customer segment. Or, if a customer browses your online retail shop on Small Business Saturday but doesn’t actually buy anything, they can be retargeted with ads that remind them of purchases they were considering. A thoughtful approach to retargeting can create a highly personalized experience, and can be particularly effective on an occasion like Small Business Saturday, which takes place just as many people are already thinking about their holiday shopping lists. Online retailers usually collect email addresses from customers as part of the shopping cart experience, and the best of them invite customers to opt-in to receive relevant marketing messages from time to time. Small Business Saturday is a great example of when email marketing can be highly effective, particularly if you use marketing automation to group your list into segments that allow you to direct unique sale or featured items based on purchase histories or other data. Think about other incentives you could tie into the day to drive click-throughs from those email messages, whether it’s a limited-time free shipping offer, the ability to customize orders in a new way or something similar. Look on social networks like Twitter, Facebook or even LinkedIn and you’ll likely see some posts with the hashtag #SmallBusinessSaturday. Your posts should include those, too. Talk about some of the activities you might be doing based on the ideas listed above, for instance, and share them well in advance of October 20. Monitor for anyone who might use the hashtag to ask questions about where they can find deals on specific products or services on that day, and respond accordingly. Using social media effectively is not just about quality but consistency. Don’t leave this until Small Business Saturday itself. While you can and should schedule posts across whatever channels are most relevant to you that morning, afternoon and evening, think about the days that follow. You could run some “in case you missed it” posts that refer to any extended promotions or discounts you introduced on Small Business Saturday, or feature any data about the most-purchased items that day to make others interested in browsing the same categories. Whatever strategies you put in place, make sure you measure the results as closely as possible. That way, no matter what kind of sales lift you see, you’ll be in an even stronger position the next time Small Business Saturday comes along.